Creative IT is a well-established laptop and computer repairing company in the UK with HP laptop screen repairs as one of its specializations. We can repair any model of Hewlett Packard laptops and includes HP Compaq Laptop Screen Repair, HP G Notebook Screen Repair, HP OmniBook Notebook Screen Repair, HP Pavilion Notebook Screen Repair and HP Special Edition Notebook Screen Repair. We also perform repair services of any laptop or notebook available on the market today. Included in Creative IT‘s HP laptop screen repair services are the repair of such HP laptop screen faults as scratches on the screen, a cracked display, damage caused by liquid spillage, flickering of the screen, horizontal or vertical lines across the display, low contrast display, dim display, fuzziness of picture, lifeless screen, red screen, or short circuits. You can also order HP laptop screens from Creative IT. Here at Creative IT, we greatly value our clients. 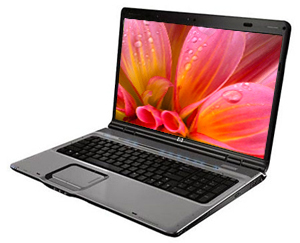 So it is only natural that we offer you two service options for HP laptop screen repair: onsite or offsite. For onsite repairs, you only have to call us and we’ll reach your home or office. In case your HP laptop screen requires major repairs, Creative IT’s service engineers will carry it back to our service center in Central London. All offsite screen repairs are carried out in our service center. We deliver the fully serviced laptop/screen to you within 1 to 2 days. Creative IT‘s team of highly qualified technicians not only repair your damaged laptop screen but also clean it thoroughly, both inside and on the surface. This is to remove any residues of dirt or dust which may cause overheating eventually resulting in laptop failure. Before beginning any HP laptop screen repairs, we always give our clients an idea of what the repairs would cost. We do the repairs only with your full consent. If you would like to know more about HP laptop screen repair or other repair services from Creative IT, do e-mail us at info@creativeit.tv or dial 020 7237 6805. We are committed to providing you with repair services that are low-cost, prompt, customer oriented, and with quick turnaround.